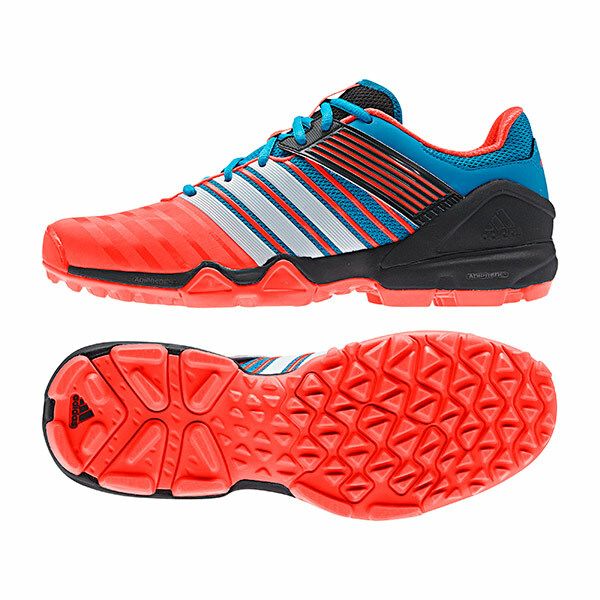 - Pro-Moderator +: Lightweight, durable midsole wrapped stability element that eliminates the risk of mid foot irritation. - Band of Power: ensuring high energy return and lockdown support. - MICOACH: Tracks performance on the field of play to give feedback to players on their speed, distance and agility. - EVA tongue construction for maximum comfort. - adiPRENE®+ maintains forefoot propulsion and efficiency. - TRAXION®: for superior grip and traction in all directions.